For female millennials entering an organisation, at any level, gender balance is something they expect. Earlier this month, the company made a commitment, through its gender balance acceleration plan, to appoint women to 200 senior executive positions across the globe, increasing female leadership from 20 to 30 per cent by 2022. Additionally, in the company’s gender parity initiative, female employees at Nestle have access to flexible working hours, an opportunity to work remotely, a lactation room for breastfeeding mothers, the option of extended maternity leave – three additional months with no pay – and special parking spaces for pregnant mothers, as close as possible to their specific offices, all in keeping with global best practice. The company also offers mentorship programmes that allow young employees access to leaders across Nestle’s global operations early on in their career. “It is simply the right thing to do. We believe that a more diverse workforce with more women at the top will reinforce our inclusive culture and make Nestle an even better company. We are setting measurable targets to hold ourselves accountable. We know that improving gender balance will lead to better decisions, stronger innovation and higher employee satisfaction,” Mark Schneider, Nestle CEO said in a release. “This is amazing! It is something that you’re proud to see. The progression of an organisation in such a forward and positive manner,” D’Abadie said. “When I joined there were no women on the management committee. I started a year after I got married, and I started having kids. At that time we had three months' maternity leave. "At that stage too I felt pretty much that my career had stopped because I was having children. D’Abadie said these commitments are not just for executives, but apply across the board for Nestle employees. The company, she said, also looks at it from a business angle. She said the initiative is built on three pillars. 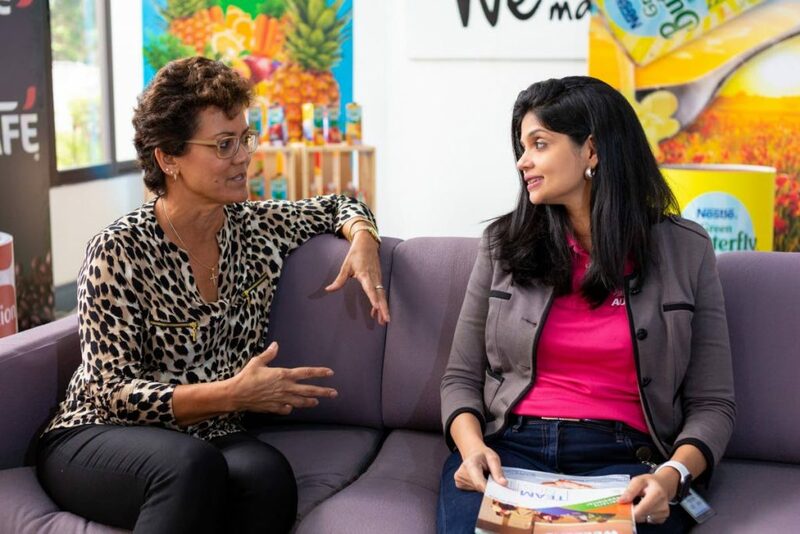 Business executive officer for the Anglo Dutch Caribbean and mother of two, Elisa Doldron has worked at Nestle for over 12 years. She said throughout her career at the company the combination of having “good” leaders, her attitude towards her work and the deliverables have afforded her many opportunities. But the benefits of the company’s gender balance push does not only extend to parents. 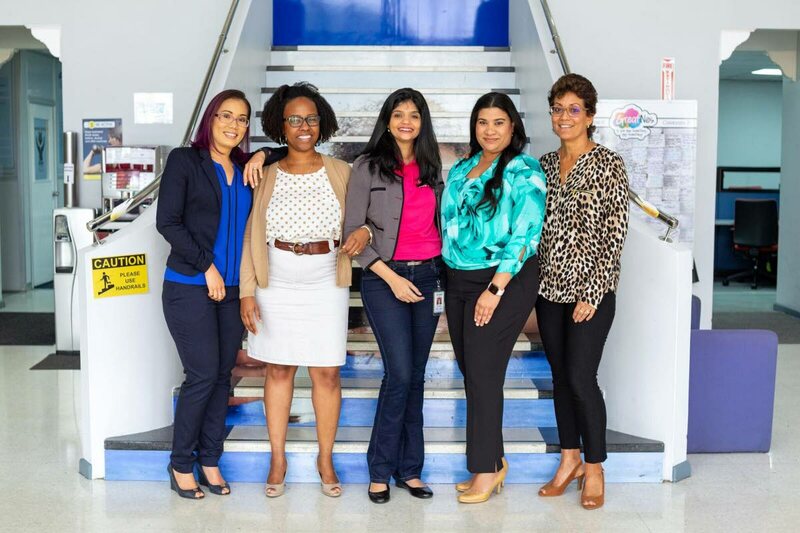 Kavita Maharaj, Nestle’s business excellence manager for the Anglo Dutch Caribbean region has been with the company for 15 years and has held positions across functions. “I started at entry level and over the years I’ve had many opportunities to work at Nestle offices in the region and internationally.” She has no children yet, but said she is happy to know that when she becomes a mother she’ll have access to the commitments. “I’ve taken advantage of the mentorship programmes and the flexibility…And not just because you’re female you get these opportunities. The right candidate for the job will always get the job, or should get the job,” she told Business Day. She said a major part of succeeding in any job is not being afraid to ask for feedback. Employee relations and talent manager Siti Jones also appreciates the gender balance stance her employer has taken. “We hear about it (gender balance) on International Women’s Day. but not throughout the year. Here it is real. I’ve been given many opportunities…The opportunities are real and are linked to your ability to deliver results. She advises young women entering the workplace to take advantage of opportunities, even though they may appear challenging. Among Nestle’s other planned initiatives in promoting gender balance in the workplace is the creating a space for the children of employees. “Part of our plan is to implement a homework station, where we will have a dedicated room where parents can leave their children supervised by trained professional and caretakers. And then our intention will be to move toward a full daycare service,” Martinez said. Reply to "Diversity in workplace"